Terms & Conditions : JC Danczak, Inc. The following rules ("Terms and Conditions") govern the use of the JCDanczak.com website and the services that may be offered on the site. The Terms and Conditions shall supercede any subsequent terms or conditions included with any purchase order. JCDanczak.com reserves the right to change these Terms and Conditions at any time, effective immediately upon posting on our Sites. Unless otherwise specified, all materials appearing on our Sites, including the text, site design, graphics, logos, icons and images, as well as the selection, assembly and arrangement thereof, are the sole property of JCDanczak.com Copyright © 2000-2006, ALL RIGHTS RESERVED. You may view, download, print and retain a copy of pages of any of our Sites only for your own personal, non-commercial use. All rights not expressly granted herein are reserved. The absence of a trademark, trade name and service mark from the above list does not constitute a waiver of our intellectual property rights concerning that trademark, trade name or service mark. All other trade names, trademarks or service marks are property of their respective owners. The use of any of our trade name, trademark or service mark without our express written consent is strictly prohibited. You agree that you will not misuse or abuse account access and passwords. You agree that you will use only your password and that you will take all reasonable precautions to protect its secrecy. You also agree that if you are given a temporary password that you will change it before you enter any financial information into the site. Your receipt of an electronic or other form of order confirmation does not signify our acceptance of your order, nor does it constitute confirmation of our offer to sell. We reserve the right at any time after receipt of your order to accept or decline your order for any reason. We reserve the right at any time after receipt of your order, without prior notice to you, to supply less than the quantity you ordered or to substitute items within any product. We shall automatically charge and withhold the applicable sales tax for orders to be delivered to addresses within Massachusetts. Each customer shall be solely responsible for all sales taxes, or other taxes, on orders shipped to any other state. Sites may link to us that are operated by third parties. We have no control over other sites or their content and cannot guarantee, represent or warrant that the content of these sites is accurate, legal and/or inoffensive. We do not endorse the content of other sites, and cannot warrant that these sites do not contain viruses or other features that may adversely affect your computer. We welcome all comments, feedback, information, or materials (“Feedback”), which you submit to us by email or otherwise through or in conjunction with any one of our Sites. Please note that Feedback shall be considered non-confidential and become the property of JCDanczak.com. By submitting Feedback to us, you agree to a no charge assignment to us of all right, title and interest in copyrights and other intellectual property rights on a worldwide basis to the Feedback. We shall be free to use Feedback on an unrestricted basis. You must be 18 years or older and have a valid credit card, with full authority to use it, to submit an order through any of our Sites. You agree not to use any of our Sites or any content contained in it for any illegal or inappropriate activities. 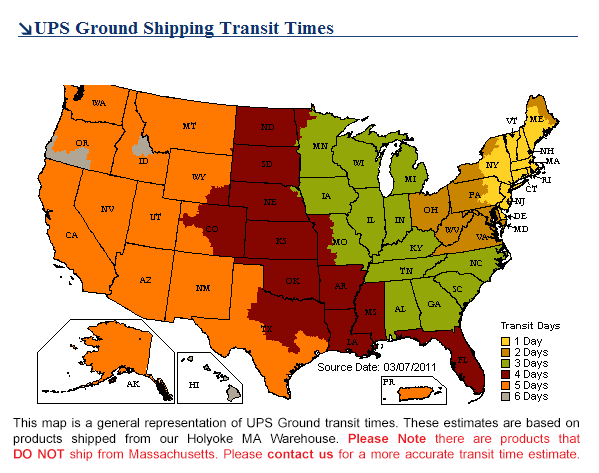 JCDanczak.com, in conjunction with our carriers, will attempt to deliver a product on the requested day. Our carriers are not obligated to telephone recipients prior to delivering packages, and we cannot guarantee the time of delivery. We are not responsible for products delivered to incorrect addresses supplied by the sender. Nor will we be responsible for unsuccessful deliveries arising from the recipient not being present at time of delivery at the address supplied by the sender, decreased product quality due to an incorrect delivery address supplied by the sender, a re-route requested by the sender, or product quality problems caused by improper handling by the recipient. We do not allow orders to be edited or cancelled within one business day of the requested delivery date, or within the three (3) business days prior to Thanksgiving, Christmas, Valentines Day or Mothers Day, because of our extremely high volume of orders during these times. JCDanczak.com guarantees that its products will be high quality. Our sole maximum liability shall be the refund of the purchase price or at our sole option, the replacement of the product as soon as reasonably possible. OUR SITES AND THE MATERIALS THEREIN ARE PROVIDED “AS IS” AND “AS AVAILABLE.” WE DO NOT PROMISE THAT OUR SITES OR ANY SERVICES OFFERED ON OUR SITES WILL BE ERROR-FREE OR UNINTERRUPTED, OR THAT THE USE OF OUR SITES OR ANY CONTENT, SEARCH OR LINK ON THEM WILL PROVIDE ANY SPECIFIC RESULTS. EXCEPT AS EXPRESSLY STATED HEREIN, WE EXPRESSLY DISCLAIM ALL REPRESENTATIONS, GUARANTEES, WARRANTIES, EXPRESS OR IMPLIED, OF ANY KIND WITH RESPECT TO PRODUCTS SOLD ON OUR SITES, OUR SITES AND OUR SITES’ USE, INCLUDING BUT NOT LIMITED TO, THE IMPLIED WARRANTIES OF MERCHANTABILITY AND FITNESS FOR A PARTICULAR PURPOSE. Some jurisdictions do not allow the exclusion of implied warranties, so the above exclusion may not apply to you. You may have other rights which vary from jurisdiction to jurisdiction.. Limitation of Liability YOU AGREE THAT, EXCEPT AS EXPLICITLY SET FORTH HEREIN, JCDanczak.com, ITS DIRECTORS, OFFICERS, EMPLOYEES OR OTHER REPRESENTATIVES SHALL NOT BE LIABLE FOR DAMAGES RELATED TO PRODUCTS SOLD OR THE OPERATION, CONTENT OR USE OF OUR SITES. YOU AGREE THAT THIS LIMITATION OF LIABILITY IS COMPREHENSIVE AND APPLIES TO ALL DAMAGES OF ANY KIND, INCLUDING WITHOUT LIMITATION DIRECT, INDIRECT, COMPENSATORY, SPECIAL, INCIDENTAL, PUNITIVE AND CONSEQUENTIAL DAMAGES, DAMAGES FOR LOSS OF PROFITS, REVENUES, DATA AND USE, INCURRED BY YOU OR ANY THIRD PARTY, WHETHER IN AN ACTION IN CONTRACT OR TORT, RELATED TO OUR PRODUCTS OR YOUR ACCESS TO, AND USE OF, OUR SITES OR ANY OTHER HYPER-LINKED THIRD PARTY WEB SITE, EVEN IF WE HAVE BEEN ADVISED OF, OR ARE AWARE OF, THE POSSIBILITY OF SUCH DAMAGES. Because some states/jurisdictions do not allow the exclusion or limitation of liability for consequential or incidental damages, the above limitation may not apply to you. You agree that any legal action brought against us shall be governed by the laws of the State of Massachusetts, without regard to conflict of law principles. You agree that the sole urisdiction and venue for any litigation arising from your use of or orders made on any one of our Sites shall be an appropriate federal or state court located in Hampden Country, Massachusetts. We make no representations that the content in our Sites is appropriate for access outside the United States. Those who choose to access any one of our Sites from outside the United States do so on their own initiative and are responsible for compliance with local laws. If any provision within the Terms and Conditions is held to be invalid or unenforceable, such provision shall be struck and all remaining provisions shall be enforced. By using any one of our Sites, you agree to indemnify and hold JCDanczak.com, its subsidiaries, affiliates, officers, agents and other partners and employees, harmless from any loss, liability, claim or demand, including reasonable attorneys’ fees, made by any third party due to or arising out of your use of such Site, including providing a link to another site or uploading any content to such Site. All items sold are warranteed by the manufacturer against failure caused by defective workmanship or materials defects. However, each item described in this catalog is not necessarily suitable for every kind of use. JCDanczak, inc. has no control over the selection of a product for a specific application or the end use of its products. Consequently we will assume no liability for loss, damage, or any expense of any kind arising from the use or inability to use our products. The Customer agrees that JCDanczak's liability is limited to return or replacement for credit of any product sold by JCDanczak, Inc., Inc. to its customers. Prices are based on orders being shipped at one time to one destination. Catalog prices are subject to change, however you will be notified at time of order. A restocking fee of 15% may apply on all returned merchandise. All returned merchandise must be authorized by JCDanczak, Inc.